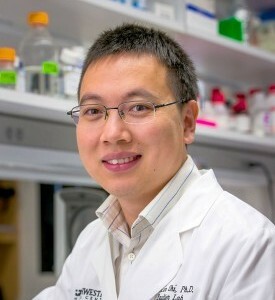 The identification of the NEK7 enzyme’s switch-like activity in immunity could lead to new treatments for a variety of medical conditions linked to inflammation via the NRLP3 inflammasome pathway, including certain metabolic disorders, influenza A, gout, atherosclerosis, and possibly some forms of cancer. 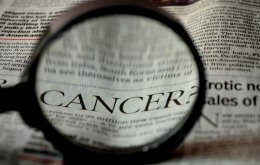 The current study investigated mouse models of inflammatory bowel disease and multiple sclerosis. “NRLP3 is one of several inflammasomes – multiprotein structures in disease-fighting white blood cells – the first of which was identified less than 15 years ago. 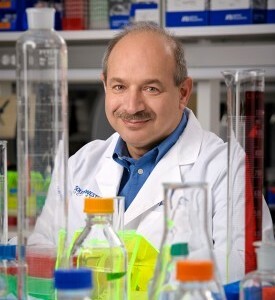 The NRLP3 complex responds to microbes and other danger signals by activating molecules called cytokines, such as interleukin-1 beta, which trigger inflammation to fight infection,” said Nobel Laureate Dr. Bruce Beutler, Director of the Center for the Genetics of Host Defense at UT Southwestern and senior author of the study published online in Nature Immunology. The paper’s lead author is Dr. Hexin Shi, a postdoctoral researcher in the Center, who identified the gene for the enzyme and then worked to characterize the enzyme’s role as a new component of the inflammasome. The research effort marshaled a large team working under one of the National Institutes of Health’s U19 grants, which are awarded for far-ranging, multidisciplinary research projects such as this one that involve genetics, immunology, physiology, and computational biology. The enzyme was previously known only for its involvement in cell division, or mitosis, a process that involves the creation of two daughter cells from one parental cell. Specifically, mitosis is the phase of cell division in which the nucleus, which holds all of the cell’s genetic material, divides to form two new cells, each with a full complement of genes. “Our work has shown that the inflammasome cannot become activated during mitosis. This is possibly a protective mechanism that prevents damage to DNA during this part of the cell cycle,” said Dr. Beutler, who shared the 2011 Nobel Prize in Physiology or Medicine for his groundbreaking work on innate immunity. Dr. Beutler, a Texas Regental Professor, also holds the Raymond and Ellen Willie Distinguished Chair in Cancer Research, in Honor of Laverne and Raymond Willie, Sr. The U19 grant is based at Scripps Research Institute near San Diego, Calif., Dr. Beutler’s former research institution, which describes its focus as “innovative technologies that will ultimately provide data for improving a wide range of human diseases that include viral and bacterial infections and inherited immune disorders.” The grant is led by study co-author Dr. Richard Ulevitch, Professor and Chairman Emeritus of Immunology at Scripps. Other institutions involved in the grant’s many projects include the Center for Infectious Disease Research, Stanford University, and the Australian National University.